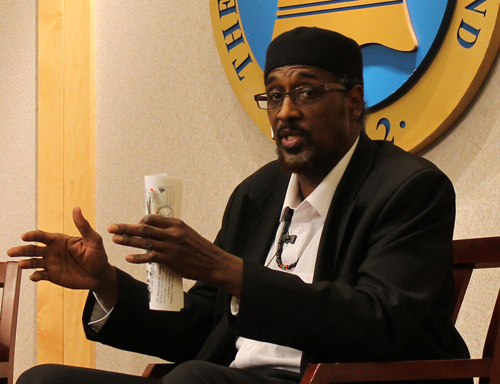 El Hajj Amir Khalid A. Samad is an internationally known and recognized community activist and leader who formerly served as the Assistant to the Public Safety Director for the City of Cleveland for youth gang intervention. He has also served as a Gang Prevention and Investigative Specialist for the Cleveland Board of Education Gang Task Force. In addition, he is Chief Executive Officer and Co-Founder of Coalition for A Better Life, dba Peace in the Hood, Inc., an organization dedicated to Peace, Justice and Empowerment and also serves as a spokesperson for the International (Formerly National) Council for Urban (Formations) Peace, Justice and Empowerment. In 1987, Samad, the late Omar Ali-Bey and other community leaders formed The Coalition For A Better Life which addressed the myriad of challenges facing urban America: racism, drugs, gang violence, police corruption, miseducation and an absence of leadership just to name a few. The Coalition was recognized as a national model for crime prevention and intervention. In December of 2008, Samad was asked to be one of the panelists in Washington, D.C. at a youth violence summit sponsored by Rep. Bobby Scott of Virginia. On May 7, 2009, he again spoke on youth violence at the Youth Promise Act Day on the Hill. 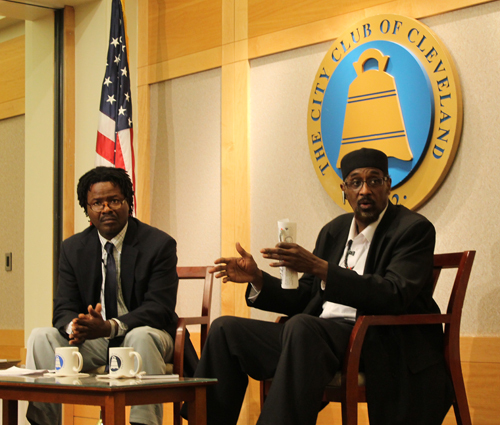 In 2008, 100 Black Men honored Samad as one of the Five Outstanding Cleveland Leaders. 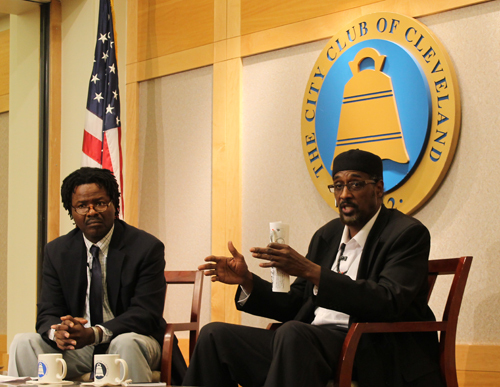 Samad has continued his tireless work on behalf of the youth of Cleveland, speaking in the schools, community and religious institutions, always having time to just talk to them an provide a listening ear and guidance with their problems. He continues to be in demand as a trainer for police, school officials, and the community in issues of gang prevention and intervention and non-violent crisis intervention and mediation. He has continued to embody and work for the principles of Peace in the Hood in his daily life: Peace, Justice and Empowerment. Curtis Donald has worked in the field of Mental Health for over 30 years. He has worked with troubled youth, severely mentally disabled adults, and the chemically addicted populations. He holds two Masters Degrees in Counseling and Health Education from Cleveland State University and licensures in Professional Counseling and Chemical Dependency counseling in the state of Ohio. He is currently employed as a clinical therapist at a local mental health agency and operates his own private practice. 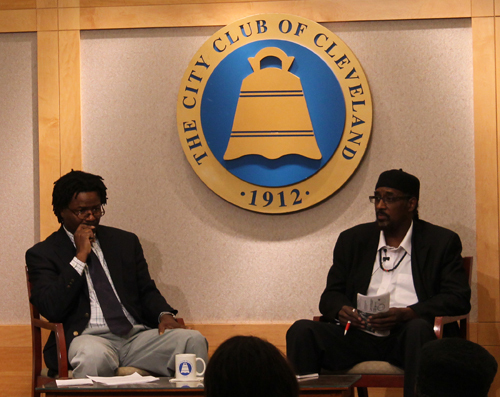 He became interested in youth gang violence while working as a counselor in the Cleveland Public School System. 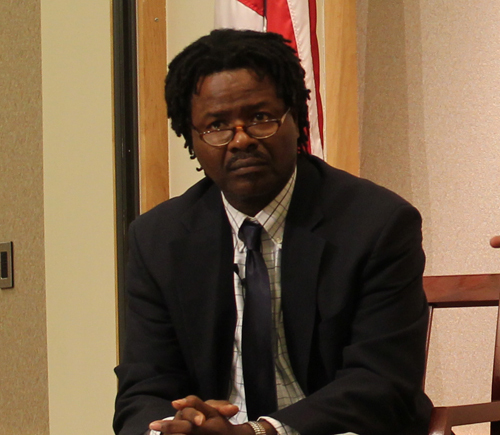 His research interest and background includes Resilience and Post-Traumatic Growth. In his introductory remarks, Khalid Samad told how he had just been to the Emergency Room because a 20 year old he knew was shot in the head and was brain dead. He was shot by someone who looked like him, acted like him, danced like him and listened to the same music. Curtis Donald shared his own story - how his brother had been shot and killed. Donald said that while our community has been traumatized by violence nobody seems to discuss the vicarious and secondary trauma in the community that results from witnessing violence. Samad said that slavery is still legal in prisons. He spoke about the 'mistaken thinking' that leads youth to problems. You shouldn't let someone else influence your thinking so much that you take on their ways. Then you are just being "a tool and a fool." He gave an example of a young man who pulled out a gun as a greeting when he approached his friends on the street. Donald spoke of the out of balance family structure and how it just takes one person to help. He knows because it happened to him. He told how his family wonders how his 4 brothers have been to prison but not him. Samad said that "dumb rappers" like Lil Wayne, Nicki Minaj and others are being told what to do by companies that make money on alcohol and prisons and other detrimental things. 'They are hypnotizing young people', he claimed. The youth that attended paid close attention and respected the experience of both men as people who work "on the streets."